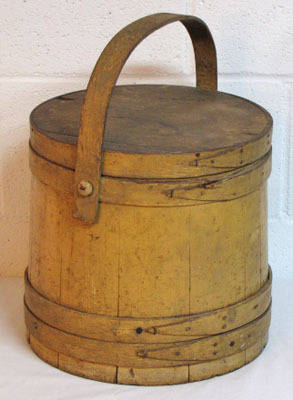 Larger size firkin in mustard color paint. The surface and paint on the firkin is old and original as it gets. Wooden buttons hold the handle. Staves are good and tight. as they often loosen up from shrinkage. 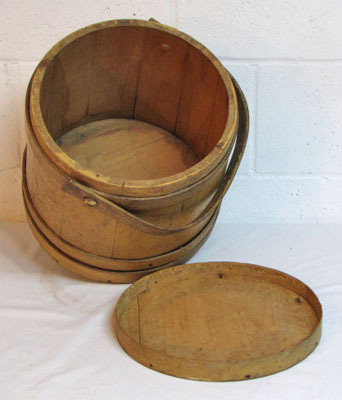 Just a nice early primitive in honest surface and color dating 19th c.
Stands 11 ¾" tall and 12.5" diameter at the base.